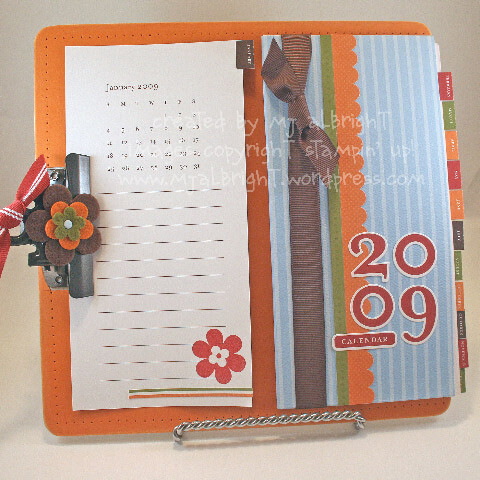 I am having a “Create-a-Calendar” class on October 14th & 15th with time slots of 1-3pm or 6-8pm. Hope you can join me and make this awesome project to keep for yourself or give as a holiday gift. Email me, or check my demonstrator website, if you are interested. Cost is $25 for attendees of class (Harrisburg Area Rubber Stamping Class). If you can’t make it to my class, You can take advantage of “Class in the Mail”….again, email me. Full colored tutorial/directions full of pics for those who can and can’t attend. I will be back shorty with another post. INKS: Kiwi Kiss, Pacific Point, Baja Breeze. ACCESSORIES: Kiwi Kiss/Very Vanilla Satin Ribbon, Crafters’ Tool Kit, On Board Loads of Letters, Slit Punch, Word Window Punch, Mini Glue Dots. What an adorable card, Mary Jo! And I LOVE that calendar! Wish I could come to your class! 🙂 Have a great weekend! Love this MJ – the little boy blue! So cute! Wish I could take one of your classes….insert pouty face here….. Have a wonderful weekend, friend! Both are SO darn cute! MJ, this is the cutest baby card evah! Love the papers and color scheme you chose! Have a wonderful weekend! You are totally amazing. Every single week, YOU JUST KNOCK me OUTTA MY CHAIR! Wow, girl…. Mary Jo, this card is adorable. I love the way you did the waves under the boat! And the colors and bow are terrific. Wish I could come to one of your classes – I live in Atlanta, but come to Harrisburg for a week every month on business. Unfortunately, the week of the 14th and 15th is not one of my scheduled weeks, but I’ll keep checking! Congrats on the Dirty Dozen! Great job on the sketch. What a cute project too! Wonderful card, MJ. Like always your attention to detail is amazing! Love your class project. If I only lived closer. I love this card! Would I have to have another kid to get something like this?? MJ, you did a FABULOUS job with the sketch! What an adorable baby boy card!!! Your friend is sure to love it too! i get your posts via a reader service, and i saw the card before i knew whose blog i was visiting. i knew it had to be yours; your style is so lovely, and this card is no exception! you have a beautiful mind! one question: is the clipboard SU! that you have the calendar mounted to? What darling creations Mary Jo!! 🙂 Love the top boy card and the calendar is too cute!! That baby boy card is amazing! I’ve got to learn how to make that bow. Just beautiful! Bravo! This is such a sweet card! I love it! I love the card! But I really love what you did with the calendar kit! I love the calendar! I ordered it, but wasn’t sure what to do with it now. LOVE the boat card – so adorable, and the colors are fabulous! I love the little boat card… its so amazing! BOTH of these are great, but that baby boy card–WOW!! You ROCK, MJ! I LOVE your calendar. Is there anyway that you could email the directions and supply list? I would love to make this for Christmas gifts and possibly do a class with this idea.